On March 18th at 06:00 I will be starting the ‘Indian Pacific Wheel Race’ (IPWR) across Australia. 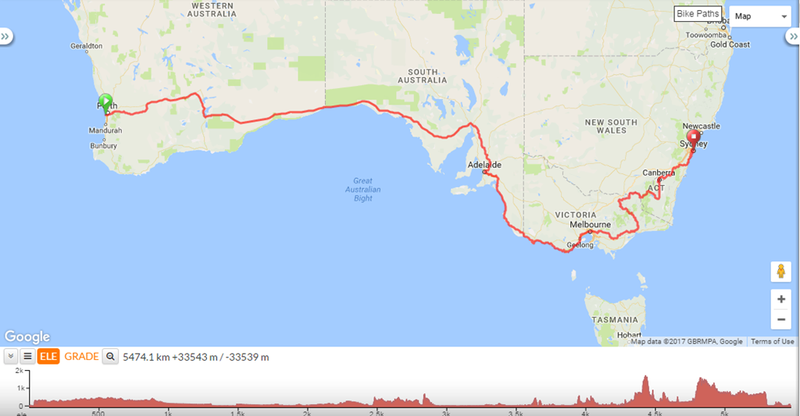 The 5,471 km route takes us from Freemantle in Western Australia across the desert, then down through Adelaide and Melbourne before heading up into the Snowy Mountains to Canberra and eventually finishing at the Sydney Opera House. As with all endurance races, a big chunk of time is spent planning the logistics and the equipment to take. Here’s what I’m taking.